Add a splash of color to your projects! 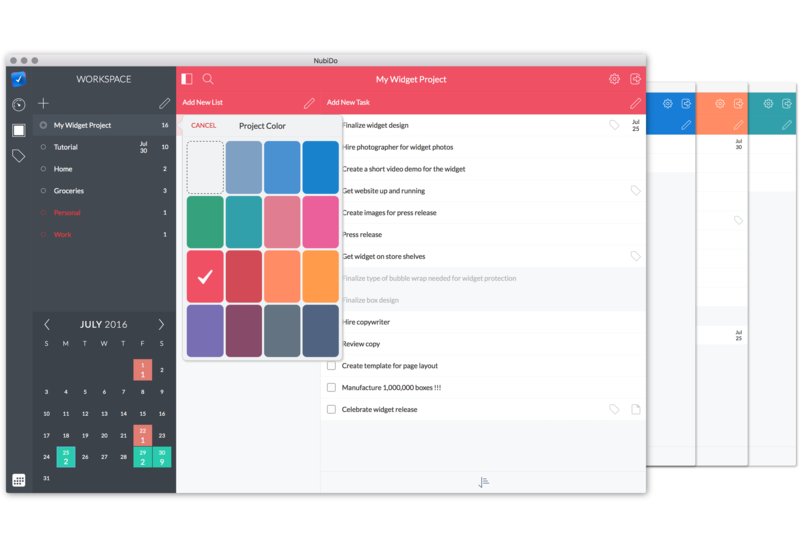 Now, NubiDo gives you the option to select an overall color scheme for a project. With 16 colors to choose from, you can give all of your projects a great visual pop. It’s easy to assign a color scheme to a project. Just navigate to the Workspace view and double click on any project to invoke the project editor. From the editor, select one of many colors to assign to that project. It’s that simple! Copyright ©2009 - 2019 Gennubi, Inc. All Rights Reserved.